A BMW X model offers drivers in the San Marcos area a perfect blend of rugged versatility, dynamic performance, and sophisticated style. The BMW X model lineup features capable and luxurious Sports Activity Vehicles® such as the compact BMW X1, the competitive BMW X3, the midsize BMW X5, and the all-new 3-row 2019 BMW X7. What sets these premium vehicles apart from the competition is the legendary BMW build quality, xDrive intelligent all-wheel drive system, and long list of standard-setting technology. From the best-in-class acceleration of models such as the X4 M40i, to the efficient hybrid performance of the BMW X5 eDrive, you’ll find an X model that will suit your style at BMW of Escondido. 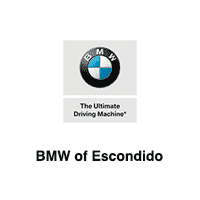 Why Buy a BMW X Model from BMW of Escondido? We also provide you with useful research information from vehicle comparisons to specific model features such as the BMW X5 towing capacity. Find the latest deals in our current new vehicle specials, and contact us to schedule a test drive behind the wheel of a new BMW X model today!